The ORLY EPIX Kit Premiere Party contains the EPIX Flexible Sealcoat and EPIX Premiere Party Polish. ORLY EPIX Is the next evolution of nail colour delivering a 2 step system, for long lasting wear. Enjoy extended wear without the need to cure under a lamp, removes easily just like a polish. 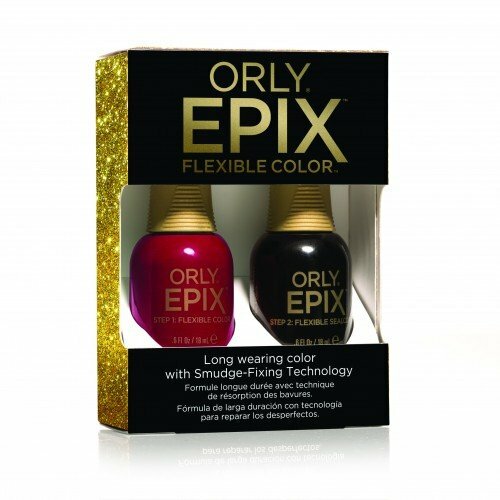 ORLY EPIX Flexible Colour and Flexible Sealcoat fuse together to create a durable, scratch-resistant, high-shine finish that dries in less than 8 minutes. Contains a unique smudge-fixing technology allowing your colour to bounce back from nicks and dents.